Twice a year during the trekking off-season, EWN offers an intensive four-week Female Trekking Guide Training Program. The average age of the participants is 20 and, for optimal results, the maximum group size is 40 trainees. The objective is to have participants from different regions of Nepal and for the first six months of the paid apprenticeship scheme a hostel facility is provided for disadvantaged women from rural areas (Karnali Region, Everest, and Langtang). 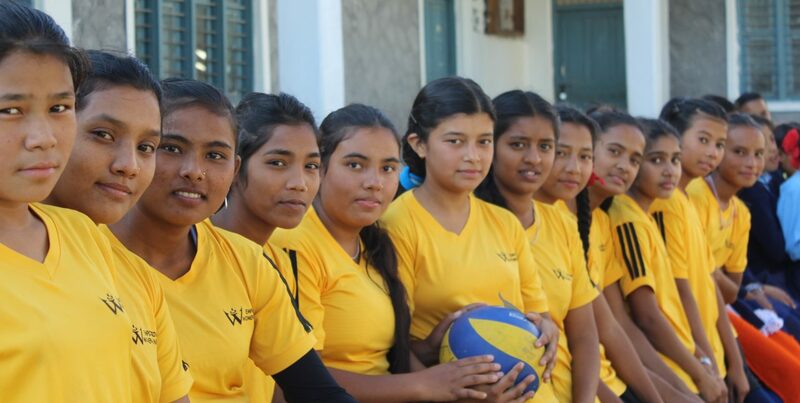 From 1999 to 2017 EWN trained over 1500 women from 52 districts of Nepal. Trainees undergo an intensive four-week program on technical and conversational English, which also covers a broad range of topics including First Aid (HIV-AIDS, STD, women’s health issues), leadership, women’s rights, trekking information, environment, history, geography, and culture. The training also emphasizes ecological awareness and conservation, including water sanitation and waste management. As participants develop into adventure tourism professionals, they communicate the ecologically sound practices they learn at EWN to their clients. For example they promote iodine purification methods, rather than relying on mineral water with its attendant plastic bottles which litter the Himalayas. 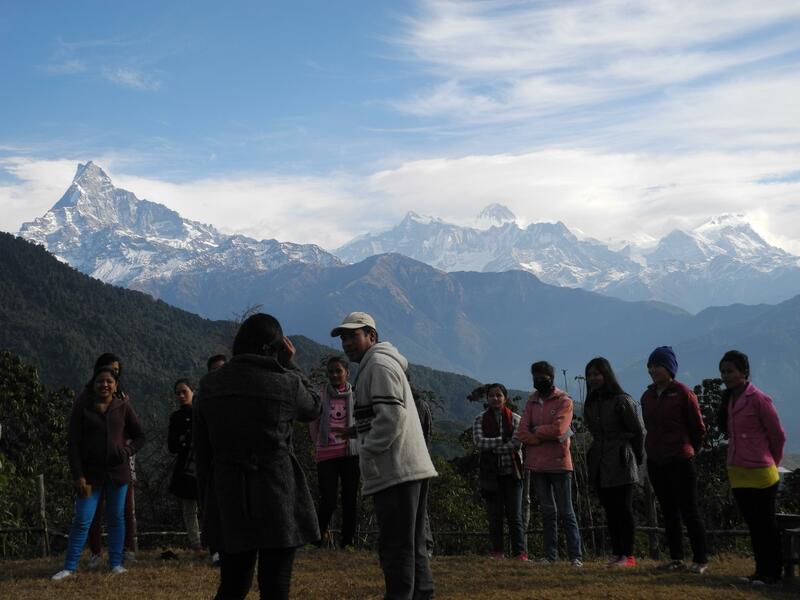 At the end of the initial training, EWN’s partner organization, 3 Sisters Adventure Trekking, provides a five (previous page says 6 month) month paid apprenticeship program where the girls acquire field experience by working as trainee guides. From their apprenticeship they gain immediate economic benefits by earning wages equivalent to experienced male porters, and they develop the skills needed to emerge as independent entrepreneurs. Over 100 guides are now employed by 3 Sisters Adventure Trekking each trekking season. After they finish the training cycle, the majority of alumni find work in the adventure tourism industry; some become micro-entrepreneurs, some continue with higher education, some continue with EWN refresher courses, some leave for work abroad and some return to their villages and spread the word about the program to their friends and neighbors. Just amazing. i am very fond of traveling and personally i enjoy explaining about my own country to the tourists. I was seeking something like this. Is there any chance to get involved in the training..Please? how to apply for a guide training and job please reply… i am very much intrested in travelling and discribing about my countries beauty with the foreginer..
Is there any age group required for participating in the training and when do the trainings happen ? Yes, for the training the participants have to be aged from 18-30. We offer intensive four weeks Female Trekking Guide Training, twice a year during trekking off-season. Our next training will run from Jan 21- Feb 16. I hope this information is sufficient for you. Please contact: 061-462231 and you can get information on our training procedures. Thank You!